Please still register to be put on wait list. The Grindstone Award Foundation offers participants to enjoy a three day event aimed to raise funds for female hockey players in need. This fun tournament is open to any women who want to play: any age and ability. You will register as an INDIVIDUAL but can request friends (up to 4) to play with on the same team. At registration you will let us know your ability level. From here we will try our best to make equal teams. Last year was our inaugural year and it was a groundbreaking event that raised enough to provide grants to 10 female hockey players across Canada. This year, our goal is to make our event bigger and better to raise enough to provide 30 grants. We hope that you will join us by supporting this movement. Be a part of something bigger, something that will have a lasting impact. So what is so special about this year? We have moved the event to the Capital News Centre in Kelowna! A convenient location with more amenities (including pub overlooking arena). For those who arrive with campers – the CNC allows usage of their parking lot! to 1hr and 15 mins each, so more ice time! This year’s charity dinner will be hosted by Boomers (right in the arena) and it’s included in your registration fee (includes all food except drinks and gratuity)!  earn some sweet Sport Chek swag. Never played? Thats okay, we encourage brand new players to come out! Your support means you will have an impact on the lives of young female hockey players through fulfilling our mission to support and address the needs of female players who have the desire to play, but are unable to for financial reasons. 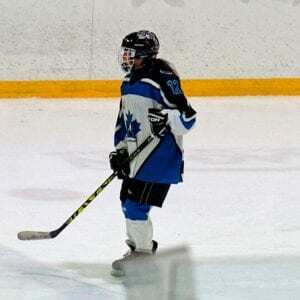 Not only that but on the same weekend, the Grindstone team is again offering Grindstone’s Girls Rock the Rink – which is a free event for female hockey players under 18. If you have a daughter that wants to try hockey – this is her chance. All proceeds from the event will go towards the Grindstone goal. This year, our goal is raise $15,000 so that we can support 30 female youth hockey players in this upcoming 2018/2019 season. We are aiming to have 120 women hockey players register for the tournament to help us achieve this goal. Meet your teammates at your first game on Friday night. Enjoy a free jug of beer and nachos in Boomers after. That’s right folks, a chance to show off your professional level stick handling and skating acumen to win some cool Sport Chek swag. There will be a radar gun involved. Boomers Charity Dinner: A great time to relax and make it up to that player you accidentally tripped in the last game. A wonderful evening with a full buffet dinner, drinks and silent auction. AM I REALLY GOING TO MAKE A DIFFERENCE BY PARTICIPATING? Quite simply, yes. Your participation will make a profound impact on numerous families out there in need. Payment will be accepted by cheque, e-transfer or PayPal. HOW MANY PEOPLE WILL PARTICIPATE IN THE WEEKEND? A total of 10 teams for a total of 130 players (plus goalies) will be participating this weekend. It is recommended that you purchase your own player insurance if you do not already have it. A game schedule we be distributed 3 weeks prior to the event. Take the first step: Register Online here. Once completed you will receive a confirmation email to organize payment to finalize your registration. We are excited to announce that this year the tournament will be held at the Capital News Centre located in Kelowna, BC. The facility has 2 ice rinks, 2 indoor artificial turf fields with an indoor walking track, and 2 meeting rooms.